For extra functionality, Love Factory can integrate Chat Factory for Instant Messaging. After installing both extensions you will have the option to enable Chat for users in the Integration setup page from the admin backend. Go to Love Factory/ Settings/ General Settings and navigate to the Integrations tab. If you installed Chat Factory, you will be able to enable Chat Factory Integration. After you set the option to Yes, a new one will appear. Choose whether you want your list to display all the users or just your friends within Love factory. Only users with Chat Factory enabled for their membership can use it. 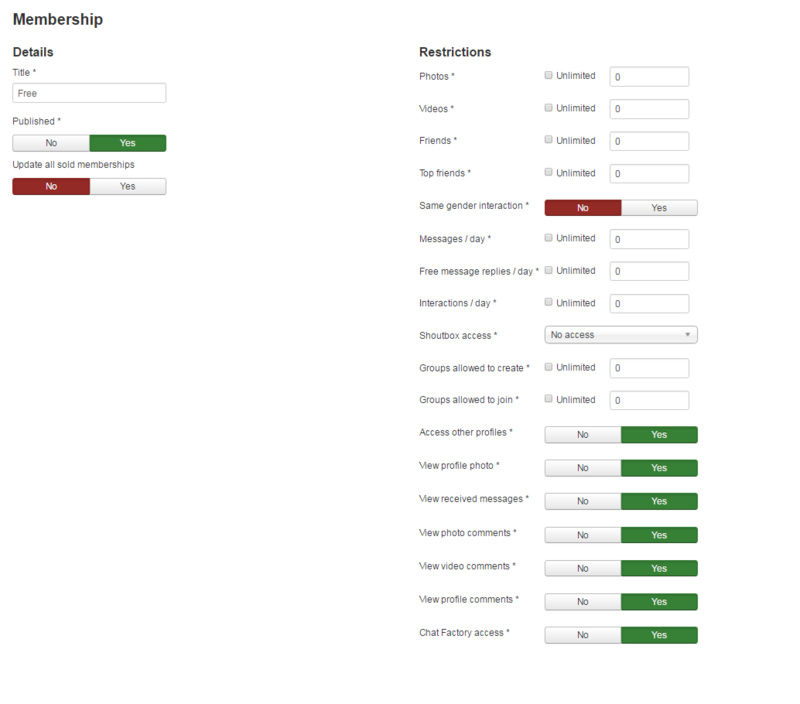 To activate only for certain memberships, just go to the Memberships page from the backend and choose the desired membership, and then enable Chat Factory access. If you are experiencing issues with permissions, resave your memberships after checking the "Apply to all sold memberships" checkbox.